WOOD Law Group is a premier, full service law firm with offices located in Mammoth Lakes and Bishop, California. 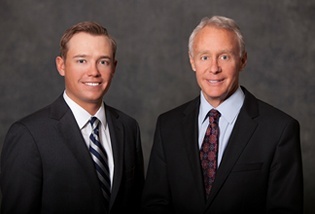 For over 25 years, Wood Law Group has been serving the legal needs of the Eastern Sierra community. The firm puts clients’ needs first, delivering the highest quality, cost-effective legal services with compassion, concern, and respect. At a very basic level of competitiveness, Wood Law Group is driven to win. However, the firm always keeps in mind the goals and objectives of our clients, and will do whatever is necessary to achieve those ends. We have succeeded through several decades by arriving at practical and lasting solutions to vexing problems. Long-term client satisfaction is always a win for us. The attorneys have been immersed in public and community service. They have unique knowledge of the communities the firm serves. Rick as a three-term Mammoth Lakes Town Council member and six-term Mayor, and Ryan, as a member of the Southern Mono Healthcare District (Mammoth Hospital) Board of Directors, understand how public agencies function. Their experience enhances the skills and perspective which the firm brings to handle its clients’ needs.